It is almost refreshing to see our fellow automotive brotherin demonstrate the benefits of Diesel vehicles to overshadow the common folks’ old conception of it being dirty and only reserved for 18-wheelers. Matt Farah and his Smoking Tire crew set out in a new Audi A8L TDI, a fantastic vehicle that proved to have a range of 867 miles! Yes, the Audi A8 TDI has range for days, as the title aptly puts it. Matt and his crew averaged an astonishing 36 mpg overall. 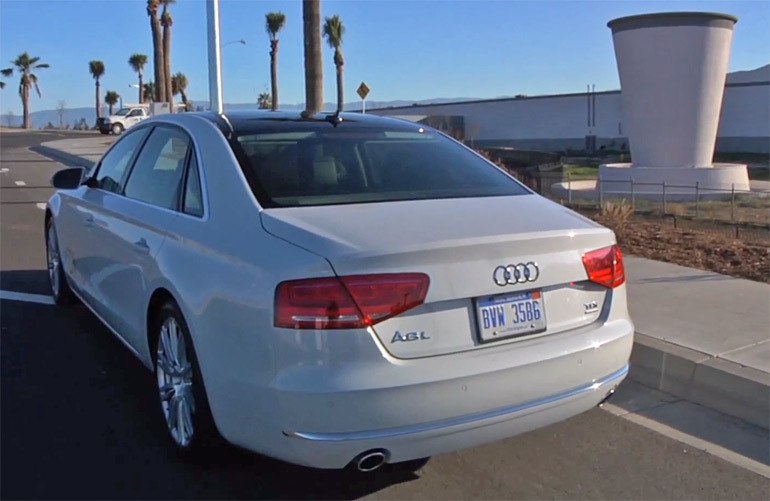 Check out their trip to view random American road-side attractions all on one take of Diesel fuel in the new Audi A8L TDI. Check it!